Discussion meeting on ‘My River My Life’. If we protect rivers, our lives will be protected. To protect the mother earth we must save our rivers. 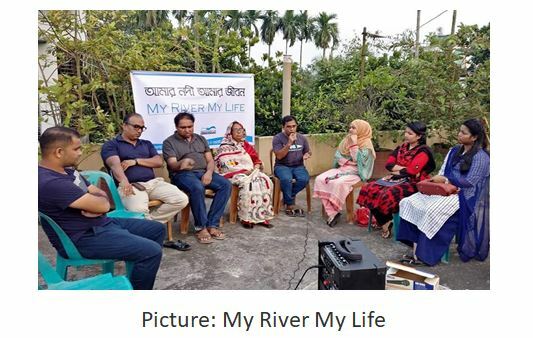 Speakers at a discussion meeting on ‘My River My Life’ in Shyamoli area of ​​Habiganj town on Friday, 5 October, 2018 expressed these opinions. 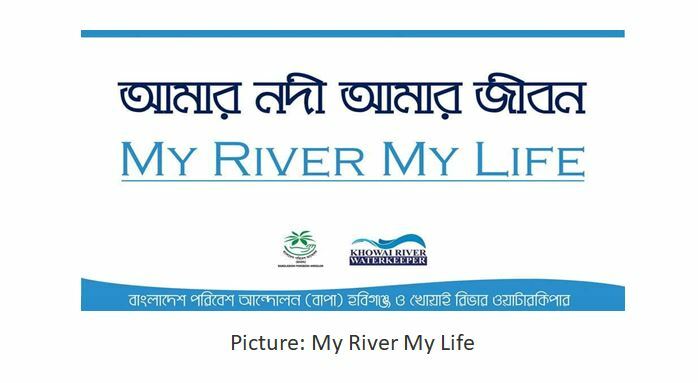 As a part of the events and activities undertaken to observe World River Day 2018, the event was jointly organized by Bangladesh Poribesh Andolon (BAPA), Habiganj branch and Khawai River Waterkeeper. The meeting was presided over by Tahmina Begum Gini, Vice-president, BAPA-Habiganj, while Tofazzal Sohel, Khowai River Waterkeeper and Member Secretary, BAPA-Habiganj gave the introductory speech. Dr. Jahirul Haque Shakil, Professor of SSTU and life member of BAPA was the main speaker at the meeting. SS Al-Amin Suman, Shabnam Afroz Daisy, Aminul Islam, Afsana Jahan, Osman Gani Rumi, Abidur Rahman Rakib, Saiful Islam, Taskiya Tabassum Bristy also spoke among others there. The speakers discussed about the industrialization by the bank of Khowai that started several years ago. As an obvious consequences for lacking of adequate waste management, serious industrial pollution in the surrounding villages have affected all kinds of life and livelihoods, including agricultural land, canals, streams and rivers. Speakers accused the lack of comprehensive plan for the management of rivers and awareness among the people; the rivers are dying. So, if we want to save our planet, we must protect our rivers.